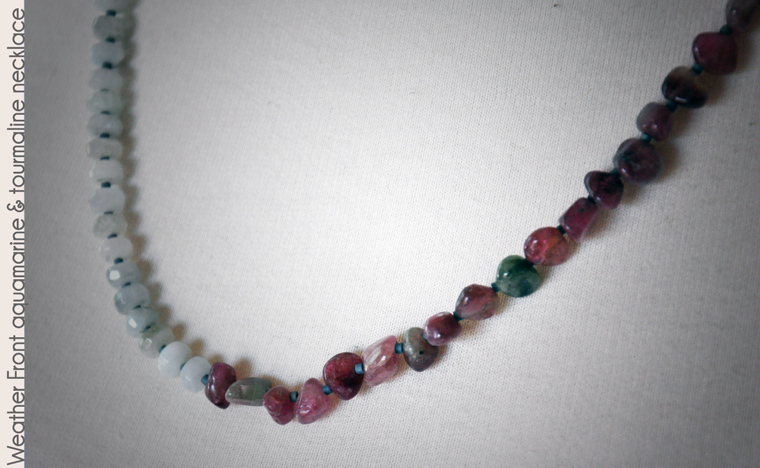 Hot and cold fronts collide in this 21" necklace of tourmaline and aquamarine, lovely members of the gem rainbow. 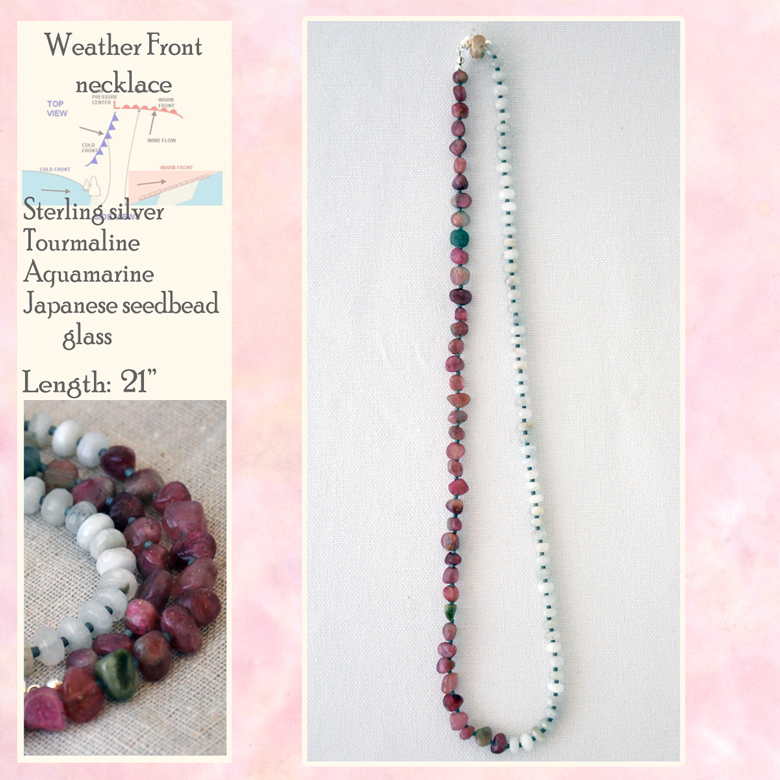 The contrast of colors is striking but complementary, and uniform shining glass Japanese seedbeads provide continuity through the gemstones. 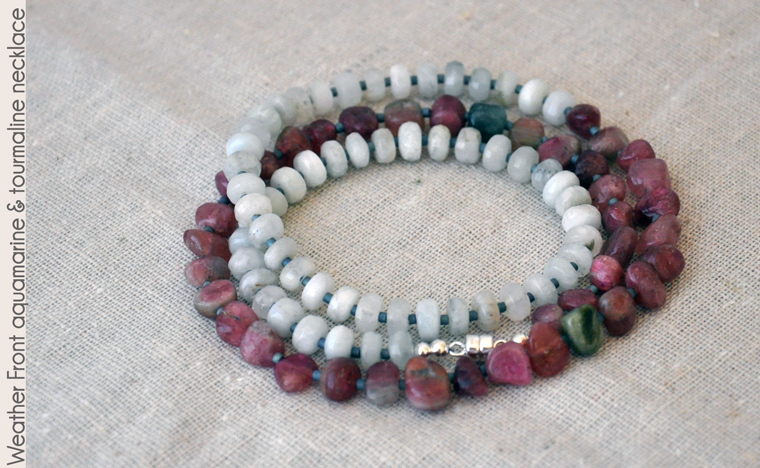 This necklace can be worn long or wrapped multiple times as a terrific bracelet! The sterling silver magnetic clasp is simple to use and fastens with a quick click when the ends are brought together. 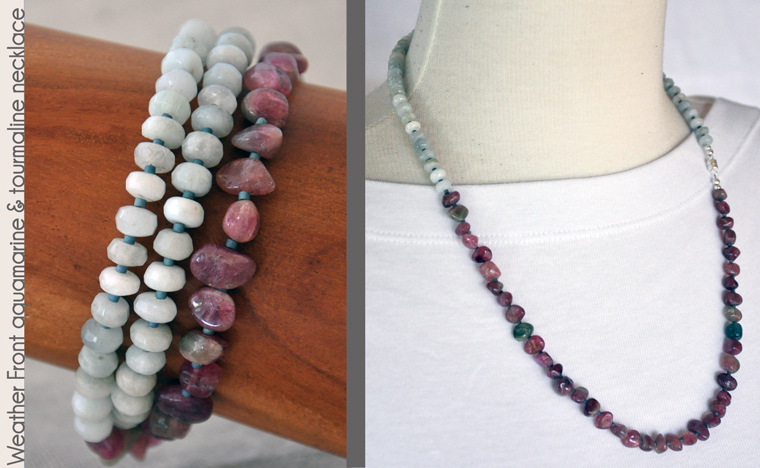 The beads and cord are strong enough to sustain loving investigation with one caveat: the glass seedbeads can be crushed with too much pressure, such as hard impacts or stepping on the necklace, so some care would be wise. As with all beaded jewelry: do not let young toddlers chew on it. 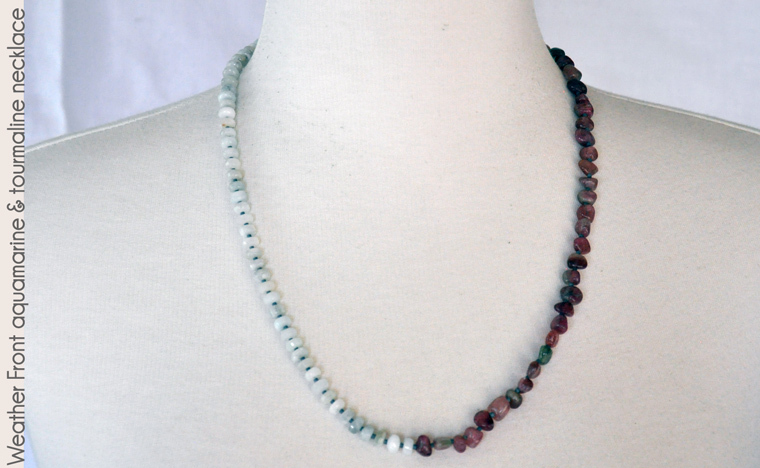 This 21" necklace can be worn as a nice accessory with a variety of necklines, though I think the necklace is more fun worn as a multi-wrap bracelet! For other examples of necklaces that are just as easily worn as bracelets, see the necklets page.